(Update) Talk about your happy accidents. It’s very rare that anyone ever sees one of the short-eared dogs in the Amazonian rain forest, let alone manage to catch photographic evidence of them still being in the wild. The dogs pretty much stay away from anything that smells remotely human, which is why the fact that the picture was snapped 20 minutes after the camera was set up is so unique. Larry Reeves is a conservation biologist and a grad student at the University of Florida. He was in the Amazon attempting to get photos of vultures by attaching a trail-cam to a carcass, hoping they would land and feast while the camera did all the work. Reeves’ camera didn’t have all that long to wait before something walked past and triggered a photo to be taken. 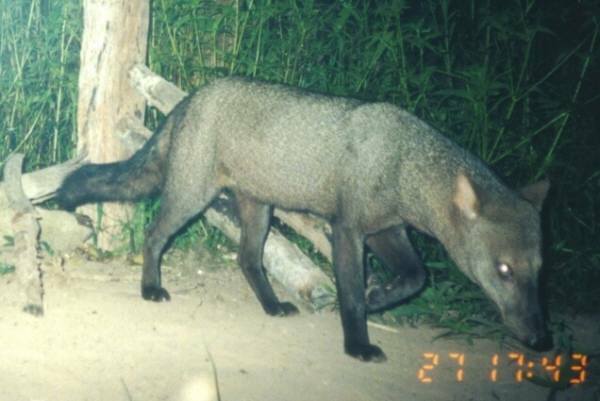 However, what the camera caught wasn’t vultures, but a very rare breed of wild dog. 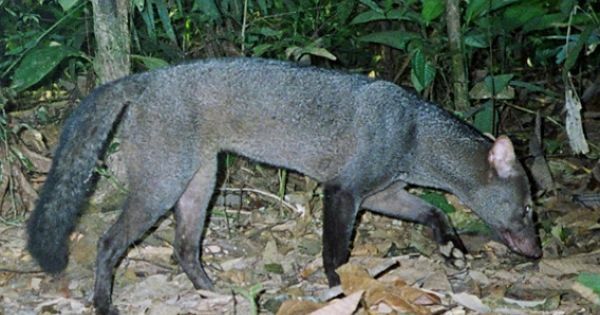 Just to prove that these sightings are so rare, a researcher at Duke University called Renata Leite Pitman has been trying to study this animal for more than 14 years now, and has only managed to collar five in total. 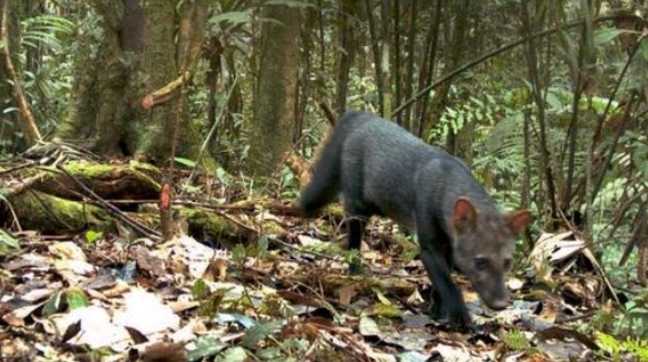 Responses to "Rare and Elusive Wild Jungle Dog Caught on Camera by Accident"
oh mooierd! nooit eerder gezien... doet een beetje denken aan de tasmaanse tijger, maar dan zonder streepjeskont.